Your perfect home awaits in this Great Room floorplan single story with a gorgeous resort backyard with pool. Kitchen is beautifully appointed with maple cabinets, granite tops and backsplash and stainless steel appliances. The master is spacious, and enlarged by a bay window. 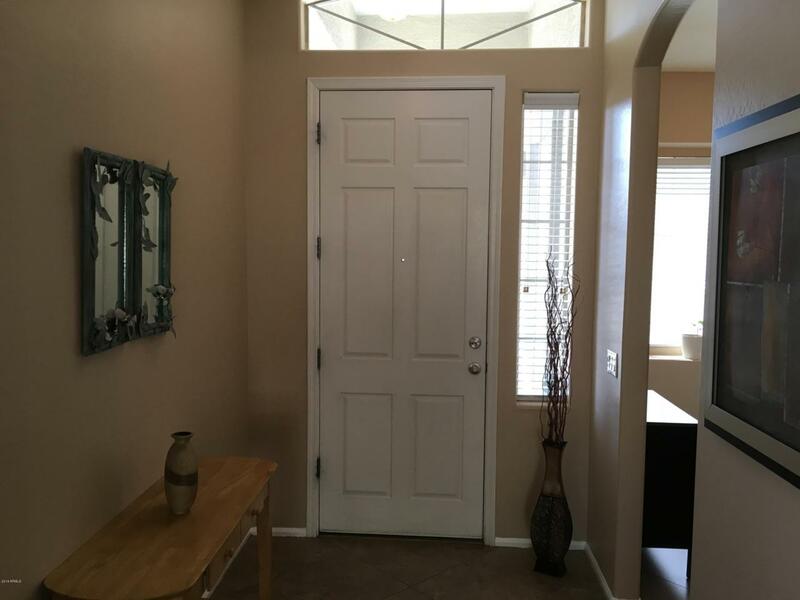 Bath features dual vanities and separate tub and newly tiled shower with an oversized walk-in closet. 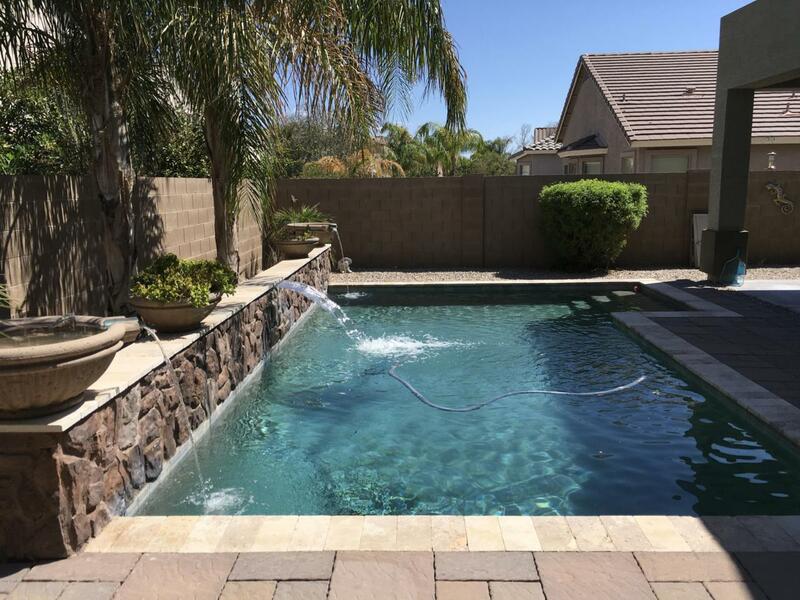 While you will be cozy and comfortable inside you may find yourself outside often enjoying the beautiful pebble tec pool with water features and lush landscape. 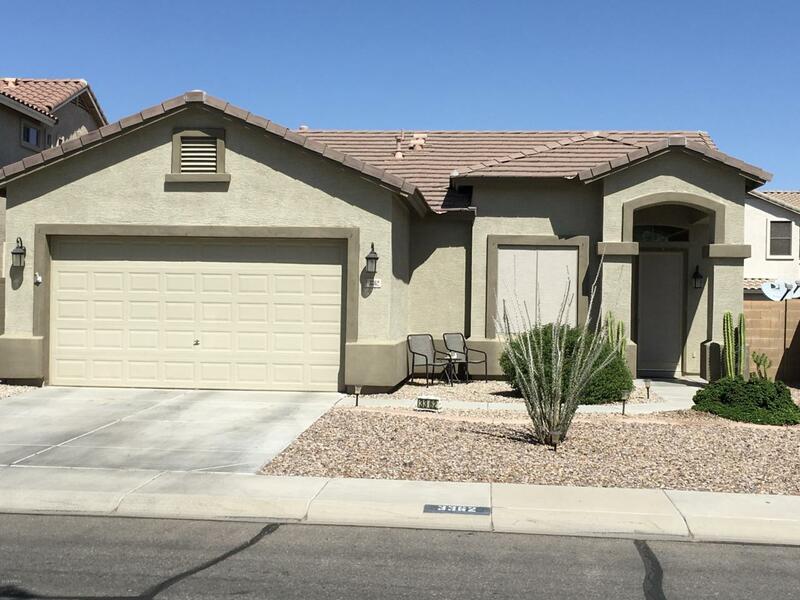 All the extra details are present in this home like 10' ceiling, garage cabinets and garage service door, surround sound speakers in GR, Patio, and garage, and ceiling fans thruout and gas or electric dryer svc. Home has been very well maintained.Pool was built in 2011 and has a new variable speed pump. Exterior of home repainted 2016. Home underwent energy audit and has upgraded insulation, cleaned ductwork, and sealed windows producing lower energy bills. San Tan Heights will soon open a new community pool, tennis courts and clubhouse nearby for residents. Outdoor enthusiasts will love being near the entry to San Tan Mountain Regional park for hiking and mountain bike riding. 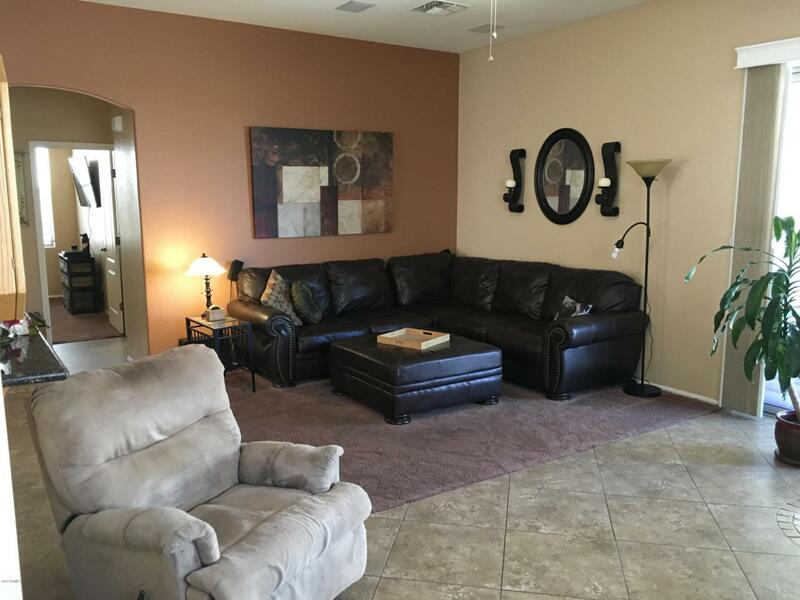 Location is a short distance to Phoenix Mesa Gateway airport.